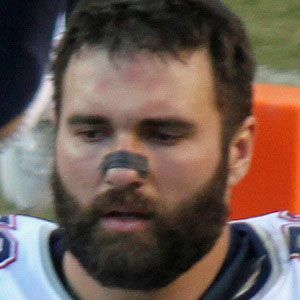 Defensive end and outside linebacker best known for his time with the New England Patriots, with whom he won Super Bowls XLIX and LI. He was originally drafted by the New Orleans Saints out of Purdue University in 2006. He attended high school at Lincoln-Way East and Lincoln-Way Central in Illinois. He was named to USA Today's All-Joe team as one of the NFL's best unsung players in 2013. He married Paige Popich in 2012. He has played alongside All-Pro defensive tackle Vince Wilfork in New England.